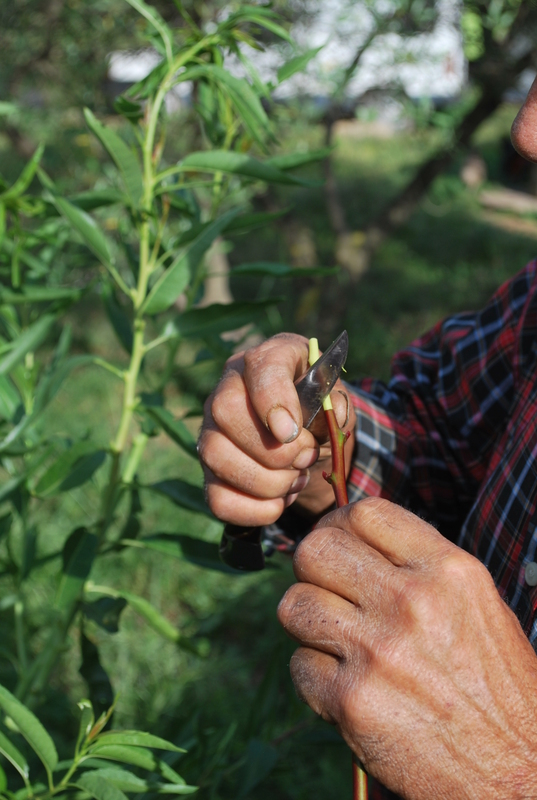 A tube (rather like a tiny section of a straw) is cut from the plant you will be grafting onto the host tree. It needs to include a little bud. Then it has to be slid off its own branch intact…tricky stuff.